Zetica has undertaken a range of marine UXO consultancy projects, including risk assessments, survey design and data interpretation services. Below are a few examples of our work in this area. Zetica was commissioned to undertake an offshore UXO desk study & risk assessment for the location of a proposed tide gauge in The Wash. Our research identified the presence of a WWII practice bombing target on the site, in addition to other potential sources of UXO hazard in its immediate vicinity, including aircraft crashes and bomb jettisoning areas. Having established the potential for a significant UXO hazard to be present, we analysed client-provided geophysical survey data to determine whether this was sufficient to identify a safe location for the tide gauge. Using our own technical software, we were able to derive an estimate of the survey’s potential detectability range for the anticipated ordnance types on the site. This showed that, despite numerous magnetic anomalies being identified, it was possible that UXO on or buried beneath the seabed may not have been detected. As such, we recommended that MagCone probing should be undertaken to ensure the safe implementation of the tide gauge, preventing the client from taking any undue risks that may have come about from a misinterpretation of the survey data. Zetica Ltd was commissioned to provide UXO consultancy during the development of a tidal energy centre. In a first phase of the project, Zetica undertook a desk based UXO risk assessment of the Site. This identified a moderate risk of UXO being present for the majority of the Site. 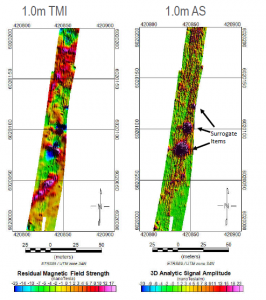 A second phase followed, in which Zetica reviewed magnetometer data collected as part of an earlier marine geophysical survey that was aimed at characterising the sea bed geology and materials. The review was required to understand the extent to which the existing magnetometer data could be used to understand or quantify the perceived UXO risk. Zetica concluded that the survey design was appropriate for its original design purpose (geology) but was insufficient for UXO clearance activities. 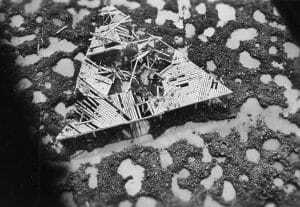 Nevertheless, Zetica designed a processing approach, and undertook a modelling study of anticipated UXO items. This revealed 3No. areas in which the response indicated a higher likelihood of an increased concentration of ferrous objects. Zetica recommended a higher resolution survey for the purposes of UXO clearance. 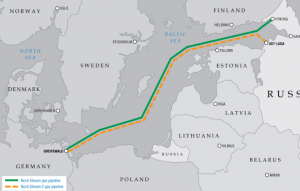 Zetica was commissioned to provide UXO consultancy for the Nord Stream project, the longest sub-sea gas pipeline in the world, connecting the Russian and German Baltic Sea coasts. Zetica reviewed the geophysical surveys carried out during the munitions screening. The review identified some data quality issues that affected the limits of detectability of UXO items and also some data processing failings. 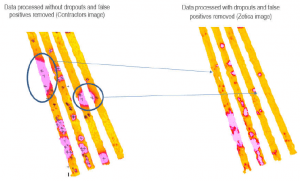 Reprocessing the data with improved filtering allowed Zetica to improve the signal-to-noise ratio in the data, and increase the detection range for UXO items. Zetica provided a map of detectability for different UXO types, allowing in-fill work to be scheduled, maximising the eventual survey effectiveness. Zetica was subsequently asked to support the Nord Stream 2 project, specifically to provide technical guidance during survey design, contractor appointment and data quality control of the munitions screening surveys. As a first phase of technical support, Zetica undertook a modelling exercise in order to establish theoretical detectability limits for a range of anticipated munition types. These results were used to assist the Client in scoring contractor proposals for the planned munitions screening surveys. Subsequently, Zetica reviewed the data processing and data quality of munitions screening surveys (including surrogate item trials) in order to assist the Client with ensuring that the appointed contractors were achieving the specified limits of detection. Zetica identified sensors with elevated noise levels which were subsequently replaced, discussed filtering routines with contractors leading to improved data quality, and identified an error in data processing applied by one contractor which was subsequently rectified. Zetica Ltd was commissioned to assess and undertake QA/QC for pre-acquired UXO detection survey data in order to evaluate its effectiveness to identify and enable investigation of potential UXO that could affect the laying of a proposed cable between France and the UK. Zetica’s review highlighted positional accuracy, survey design and survey coverage limitations. It also provided an understanding of the types of UXO items that were within the detectability limits of the survey data. This was supported by a modelling exercise, which contributed to survey design recommendations for subsequent munitions screening surveys that will be required by contractors ahead of planned engineering work.